On the way to South Carolina we visited the Jacksonville Zoo. The birds were a bit damp as it had just rained. 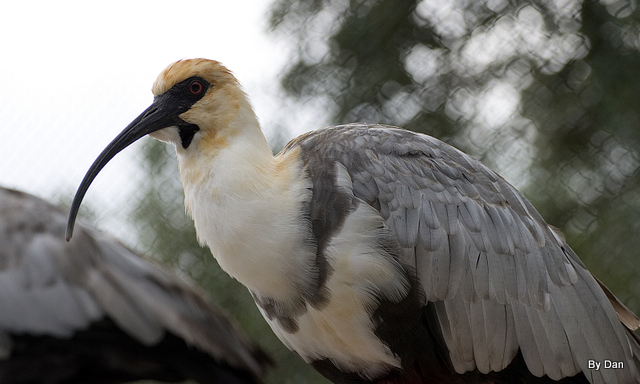 Here is one of the avian wonders that Dan captured with his camera. This entry was posted in Birds, Birds of the Bible, Birds of the World, Birdwatching, Christian and tagged Black-faced Ibis, Creation, Dan's Pix, Home School, Jacksonville Zoo, Nature, Photography. Bookmark the permalink. That ibis has a face that reminds me of a Looney Tunes cartoon character — after something explodes in front of his or her face.